Normally, my new year starts in September when we all go back to School & work, but following the weekend's disappointing outcome I've brought the new year forward. It's taken a few days to lift myself off the floor and regroup but a visit to the physiotherapist helped me gain perspective and come to terms with the DNF. Stopping was the right thing to do. Continuing would have been the wrong decision. The diagnosis is a medial ligament strain and a minor tear of the hamstring. Had I continued, it is likely that a full hamstring tear would have stopped me in my tracks before I reached Coniston. As it is, I can run easy as part of my recovery and I don't need to take any serious time out. 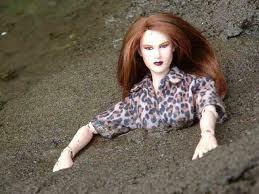 I remembered that in the forest above Grassguards I performed my first spectacular leap into a knee high bog. A misjudged hurdle where my landing leg was swallowed up by the gloopy, deep mud and on pulling it out, I experienced a cramping spasm in my hamstring. All quite normal. But I managed to repeat the same spectacular misjudged leap into another bog with the same leading leg, just minutes later on the first part of the decent into Boot. This time, pulling my leg out of the bog triggered a severe cramp and I writhed around on the floor using my hands to flex my foot as it voluntarily contorted towards my shin. I didn't realise it then, but at just 15 miles into the Lakeland 100, the race was over. Now it's over an done with, and it's not like anyone died, but I need a plan to take me forward, and some reflection to take on all the lessons learnt. So what would I do differently next year? Strength: My training to date has been very much focused on building endurance through long days on the hills, running long and training on rough terrain, and whilst this is all valuable and necessary and has made me a good descender, I need to focus on strength work a bit more. I need to improve my uphill speed and stamina because this is what really slows me down. Throughout the L100, I ran with the same small group of people for the entire 60 miles. They would pass me on the uphill sections, and I would skip (in my mind!) past them on the downhills and the flats. And this would repeat, so any ground made was lost going uphill. In training for the Lakeland 50 this year, my Dad spent hours and hours in his garage with a 40 pound pack on his back doing step ups, and he was in great condition by race day. So it's this sort of thing that I think could benefit me, so I will be incorporating plenty strength work into my training going forward. Long Runs: I've also decided to work around a more structured schedule, building in weekly speed sessions, hills, and longish runs (up to 20 miles), but then building in a monthly ultra event or big training session. Last year, every Friday I tried to get out on the Beacons, Black Mountains, Lakes and do a 25+ mile run. I am confident that I can cover 60 miles in one outing, so building distance endurance below this level is less of an issue and I don't think I need to do that any more. So I am thinking that a monthly 50+ miler or back to back session followed by an easy week would be more benefical to me, conditioning my body to the longer distances whilst allowing for good recovery. Pack: I can easily cut the weight I carry in my pack during the L100. In the end my pack weighed nearly 9 pounds, 2 pound of this being food and water. I carried 750ml of water, which is about right for me over 7 to 10 miles, but I had a lot of food. Having trained using specific foods, I cautiously took the same stuff along intending to avoid untested checkpoint foods so as not to risk an upset stomach. As it happened, because the food available suited me and replicated what I had been training with, I ended up hardly touching the food I had carried in my pack and ate very well at the checkpoints. Of the 9 Nakd bars I carried with me during the leg up to Dalemain, I ate only 2 and a half bars. The pork pies and savory foods were untouched. Body Weight: I am significantly bigger that most ladies (and men!) who enter ultra events. I do carry a bit of spare weight, but I'm not overweight, it's because of my body type. 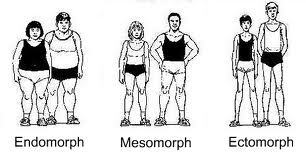 Apparently, I am a mesomorph which means that I have naturally large muscles, hence my comparative bulkiness to other ultra runners. It also means I gain fat easily. Having lived with myself for 40 years, I also know that I can hang onto weight and gain weight for Wales! I run around 50 miles per weeks and do another 30ish miles on the bike but I still have to keep a strict diet or I will gain weight. I'm not fortunate enough to be able to recover from a 50 miler with a big plate of pie and chips, I still have to chose the salad option. But all that said, I would do myself a massive favour if I could lose a stone or so, so a major aim is to drop some weight fairly quickly to aid both training and performance. ...and will I try again? Absolutely! My year will follow a similar pattern to last year using 50+ mile events as training events from January through to June, and on 1st September 2012, my name will go back on the Lakeland 100 entry list for July 2013. Sounds like you did a great job and made the right decision in the end. Your plan is a great way to mativate you through the year. I am planning to enter the LDWA 100 in 2013 and in order to keep motivated I have entered a few events beforehand. The Dorset Giant is half full at the moment and as it goes round all my local hills I can really recommend it. Thanks for the recommendation Ben - I'm all signed up! Looks like a great event and just the thing I'm looking for at that stage. Thank you! Hi Sarah; I was running with you at the end of the UTSW. Sorry to hear of your injury, but I'm sure you can come back stronger, and good luck for Lakeland 2013! I'm torn between attempting that, or the UTSW 2013, or the LDWA 100. If I get round the Bullock Smithy Hike in 4 weeks I'll enough qualifying points to apply for the UTMB as well, but that might be a bit of a pipe dream for now.